In the age of technology, instantaneous communication and the feeling of not being able to leave a project for a few days, it’s easy to give industry events low priority. But meeting face-to-face with peers—in any industry—can provide a positive long-term payoff. 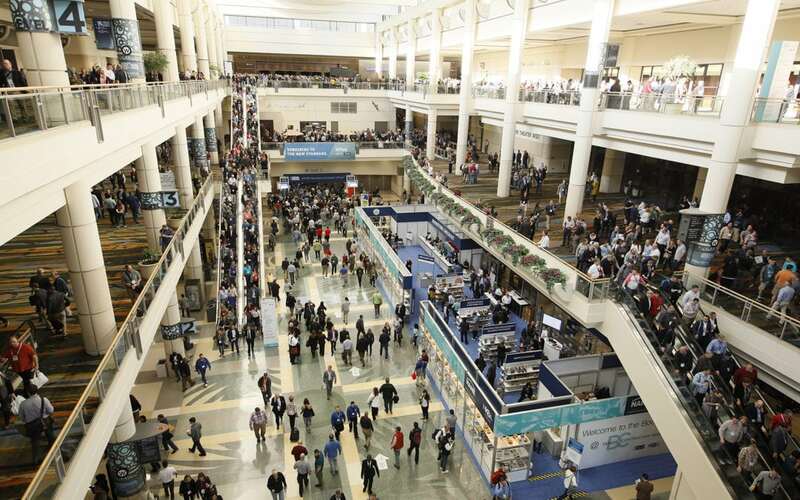 Networking is often an overlooked benefit of trade shows and conferences. Just as your friends and family help you become a better person, meeting other remodelers from around the country can help improve your business. Connections to count on. Not only can you help fellow remodelers out if they need advice or assistance, but if you’re in a pinch with business or in need of advice yourself, you’ll have a solid base of contacts to turn to. Additionally, your contacts can help connect you to others they know in your same niche, giving you better advice and suggestions. Business ideas. Attending panels and education sessions as well as kicking back at industry social events is an easy way to share ideas, learn effective business techniques and get advice on how to improve your business. Enhanced credibility. Consumers are often more impressed with a remodeler who has a robust history of being involved with industry volunteer work and events. Remodelers Central at the International Builders’ Show, in room W304E, is the place to explore new ideas, refine your skills and gain business information about remodeling. A variety of activities are available there, including educational workshops, networking events and roundtable discussions. Relax in the casual lounge atmosphere while catching up on phone calls or emails, or use the space to meet with remodelers from around the country to discuss trends, challenges and solutions. Finally, for the first time in 2017, there will be a New American Remodeled Home at the International Builders’ Show. Attend a reception with NAHB Remodelers at the New American Remodeled Home to network with other remodelers and see how this inaugural remodeled house was significantly improved in design, livability and energy-efficiency using today’s building techniques, products and standards. Tim Shigley, CAPS, CGP, CGR, GMB, GMR, a remodeler from Wichita, Kansas, is the chair of NAHB Remodelers. NAHB Remodelers is the remodeling arm of the National Association of Home Builders, representing the more than 53,000 members who are involved in the remodeling industry. Learn more at nahb.org/whynahbr. Be sure to join the Lowe’s ProServices LinkedIn Group to read additional content and interact with other Construction/Trade and MRO professionals.